Yes, I really can do this skill – you are welcome to come and watch me demonstrate it. I can also hit the ball to the right or left at will if someone calls it out during my backswing. Now, this isn’t a skill that you NEED, per-se. However, it does demonstrate a few things which contradict what amateurs hold to be true. Many amateurs believe that strike location is not something that can be controlled, but is a byproduct of good swing mechanics. and STILL hit any part of the face I want, this takes away the above variables as “causes” for strike issues. You can’t predict where I am going to strike the face from looking at the top of my swing. Additionally, you could spend years working on “perfecting” those above elements and STILL be a poor striker of the ball. None of those things in the list guarantees any type of strike. 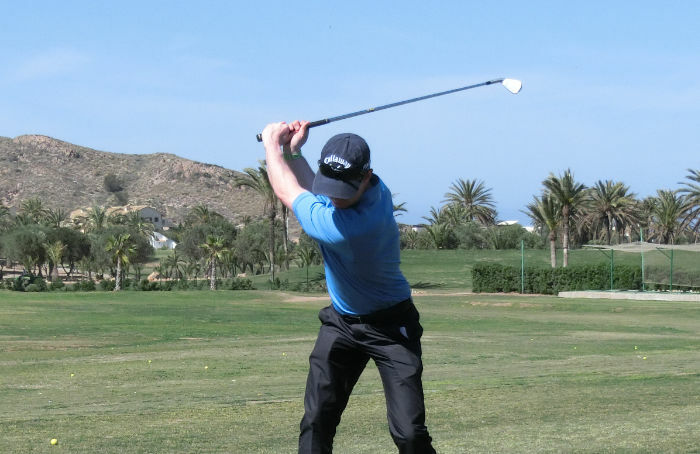 In fact, the only reason I can’t manipulate strike in the latter parts of the downswing is because it takes too much time to consciously process the information that the player has shouted to me (toe or heel) and change the swing. 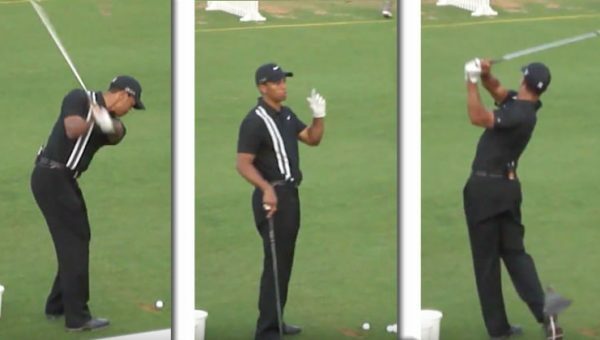 However, in my popular article WHY DID THIS GOLFER SHANK IT – it shows just how late the changes in the swing can be to completely change the strike. Yes, yes I am. But isn’t there a huge lesson in that? 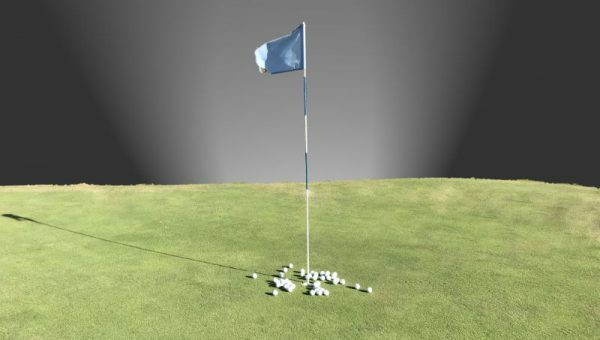 While every amateur is seeking some mechanical secret or backswing position that is going to get them hitting flush shots every time, I worked hard on my SKILL and coordination. Every amateur is trying to bypass the need for skill by working on swing mechanics. While this certainly can be a route to improvement, you might be leaving a HUGE source of improvement on the table, regarding skill-development. I worked hard on my ability to strike different parts of the face at will. How many amateurs have spent any appreciable amount of time working on this skill? 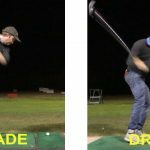 Every day I see amateurs who have done thousands, if not hundreds of thousands of reps working on their swing movement – and barely any time working on their ability to move their strike around. Again, this may stem from the belief system that you can’t consciously/intentionally control strike. 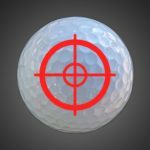 I think many golfers are too deeply ingrained in the idea that the strike is just a byproduct of the swing. 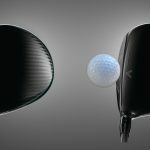 In fact it could be argued the complete reverse – the swing motion can be largely a byproduct of your ability to strike the ball effectively. 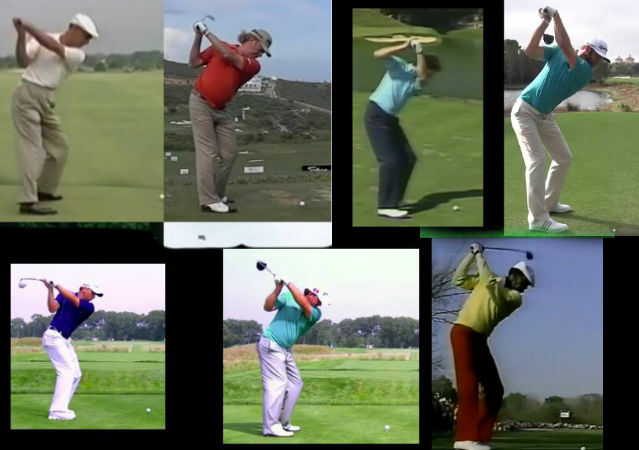 So many different backswings, so many great players. Obviously, there is a nice middle ground in there somewhere, but it’s food for thought. 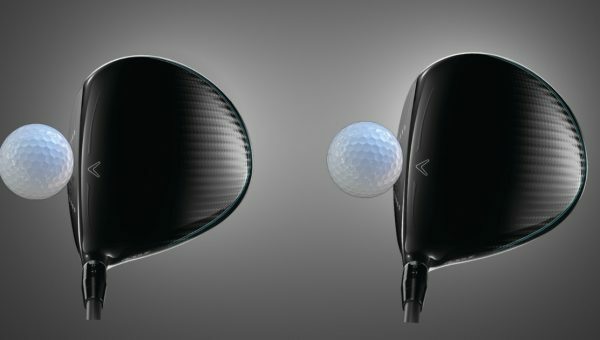 If you hit the sweet spot every time, you probably don’t need to have the ability to move the strike around the face at will. Certainly, no one needs to be able to change it mid-backswing – I only do it to show off how extreme the skill can be developed. However, if you are like the vast majority of handicap-golfers out there, your face strike can cause some serious issues. 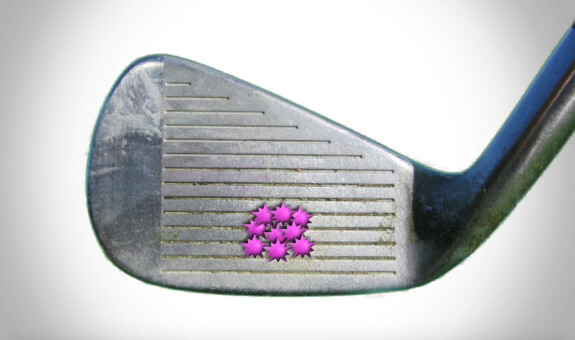 Everything from inconsistency with the driver to an attack of the “shanks”. I’ve not shanked 2 shots in a row for over 15 years now. Why? Because if I ever shanked one (which is rare enough), I instantly have the ability to re-calibrate the strike back to the sweet spot. 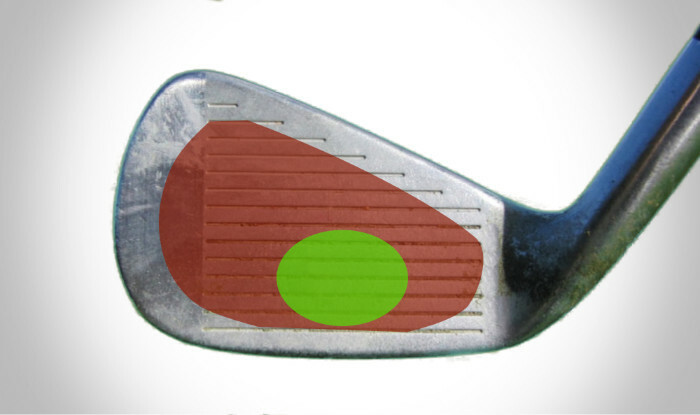 Can you move the strike around the face at will – hitting more towards the toe or heel? If the answer is no, then any time your strike goes out of hand (for whatever reason), the round is lost/over/done. You could be in the middle of a tournament and playing great, then a series of shanks pops in and kills it. But if you had the ability to re-calibrate the strike, it wouldn’t have happened. You could have saved the round. In fact, when you see this pattern of strikes from me, what you don’t see is the constant conscious calibration that I am going through with every shot. I’m circling that sweet spot like a shark, nudging it millimeter by millimeter towards the center of percussion on every shot. And when the strike starts to creep away from the sweet spot, I pull it back in, never letting it get out of hand to the point of affecting my scores. 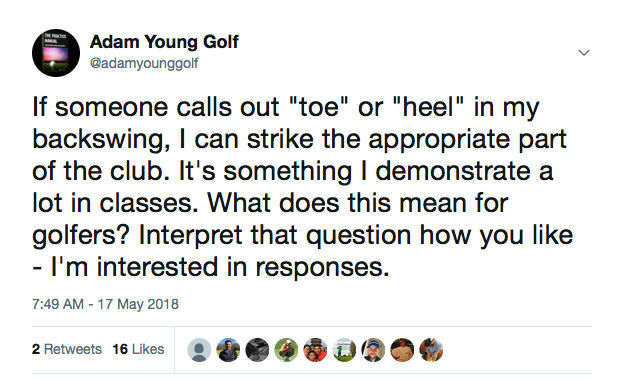 It might take a while to learn the skill of hitting more toe/heel at will, but it will be there for life when you have mastered it. In fact, in my live lessons I even teach it to complete beginners. That’s right, I can get a complete beginner to figure out how to hit different parts of the face intentionally. Why would I do this? Because my STUDY showed that beginners who practice this learn how to hit the middle of the face more often. to train strike quality with players. 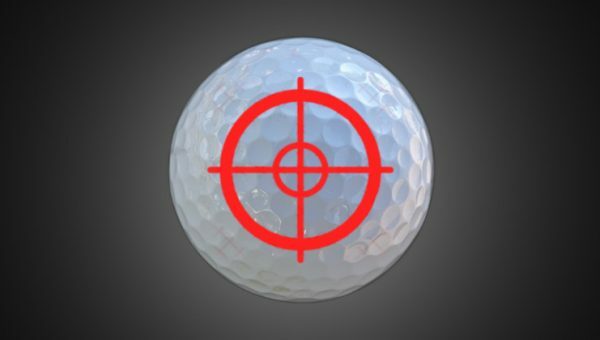 If you want to learn how to train for improved strike quality (one of the quickest ways for the average golfer to achieve better play and lower scores), check out my program, The Strike Plan, by clicking the image link below. 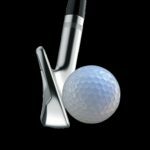 You swing a mass at the end of a shaft .With lengthy repetitions you can learn to contact the ball more or less with the sweet spot of the clubface ,but you can’t “choose” to hit the ball with the toe or heel without destroying the mechanics of your long earned swing! Hi Raymond. I beg to differ. Not only can I demonstrate this (without destroying mechanics), but I regularly improve the skills of golfers by using drills similar to this. I’ve fixed hundreds of life-on shankers etc who become fully strike-competent after using these drills. 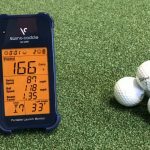 In fact, I did a study on a similar drill which you can read here – https://www.adamyounggolf.com/blind-golfers-the-study/ . 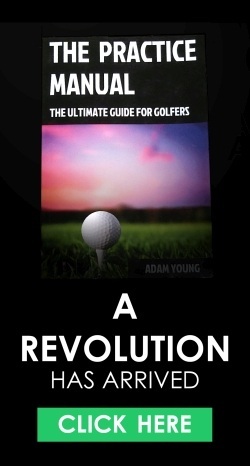 And on the “mechanics destroying” part – check this article out which completely destroys your argument on the topic – https://www.adamyounggolf.com/golfer-shank-99/ . You can see clearly how (almost) identical his mechanics are, even when bouncing around between the extremes of toe and heel. The secret is in the minutiae – which the drill in this article helps to improve. Nice article. 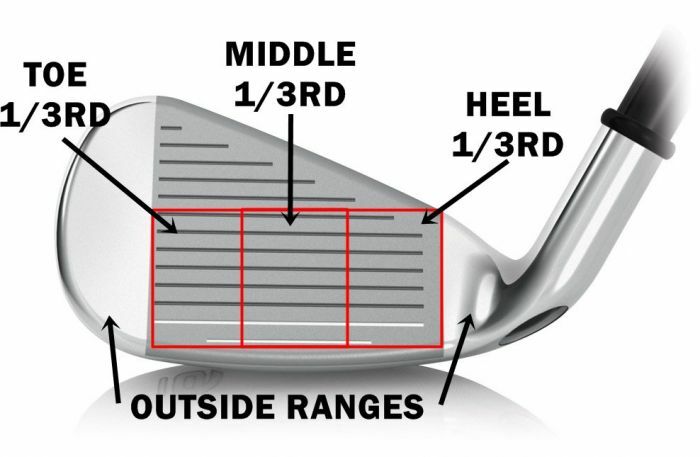 I understand what the author is trying to accomplish with being able to hit all parts of the club face at will. I can do this but not at will. I think this would take a lot of practice to accomplish this goal. 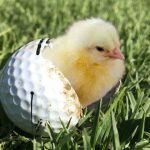 Does it help in shaping shots? A draw or fade when I need it? If so, this technique could be very useful.